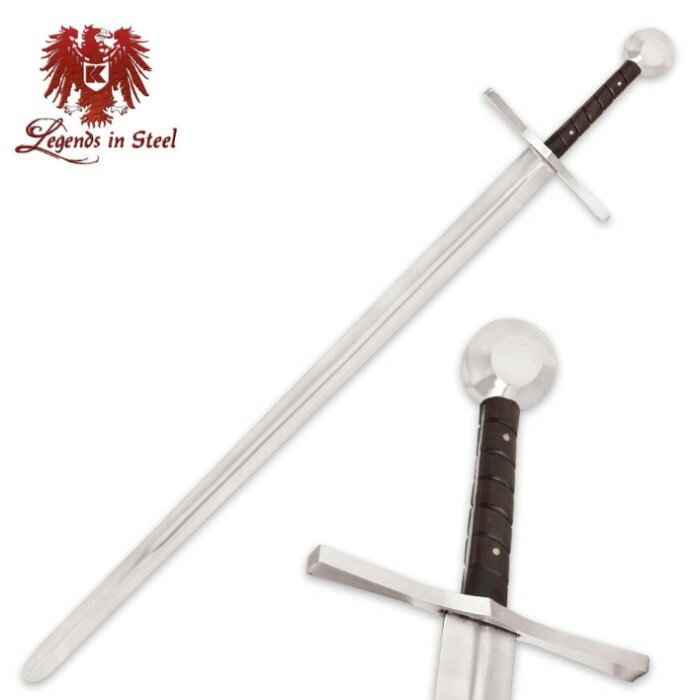 Legends In Steel Battle Ready Crusader Sword | BUDK.com - Knives & Swords At The Lowest Prices! 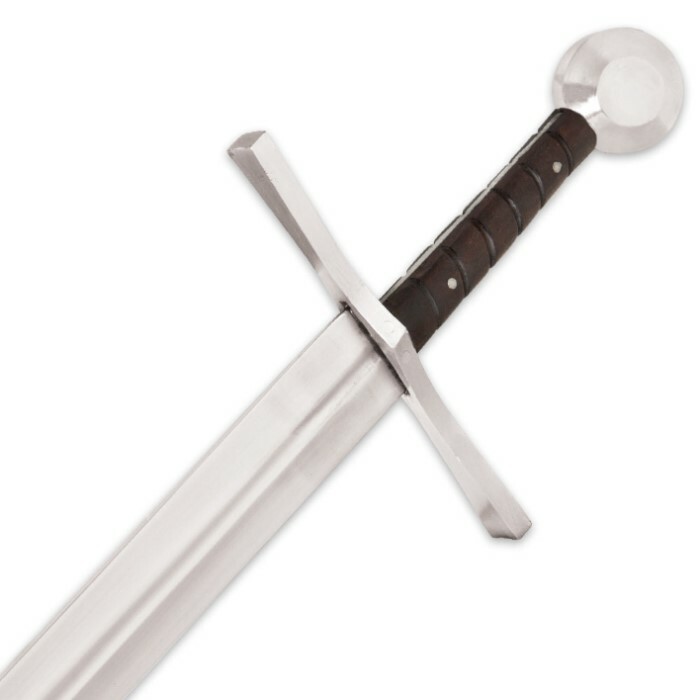 The Legends In Steel Battle Ready Crusader Sword is sharp and ready to go right out of the starting gate! The 34” blade is of tempered high carbon steel and is full-tang. A grooved wooden grip gives you a secure grip when wielding this beast. It is 42” overall length and definitely not for the faint of heart.